If you cut the point off of a cone what is the new shape called? Re: What is the shape? I am studying now at the Institute for Mathematical Research, but sometimes I also have controversial questions, the answer to which I seek in various mathematical forums and Internet resources like this one. Calculate the lateral area, surface area and volume of a truncated cone of radii 10 and 12 cm and a slant height of 15 cm. 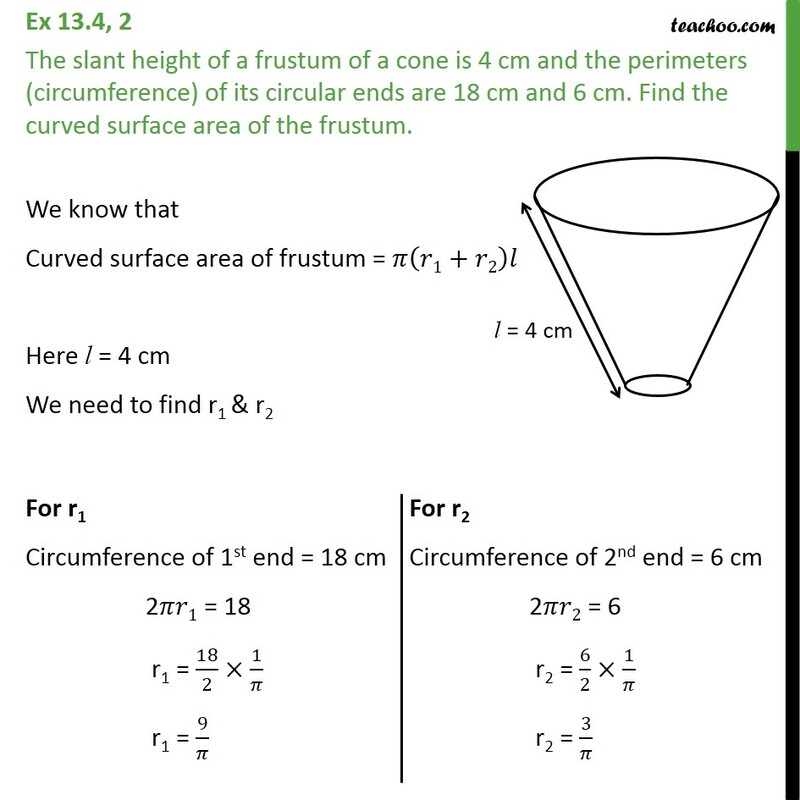 Guest wrote: Calculate the lateral area, surface area and volume of a truncated cone of radii 10 and 12 cm and a slant height of 15 cm. Yes, this is the correct formula.